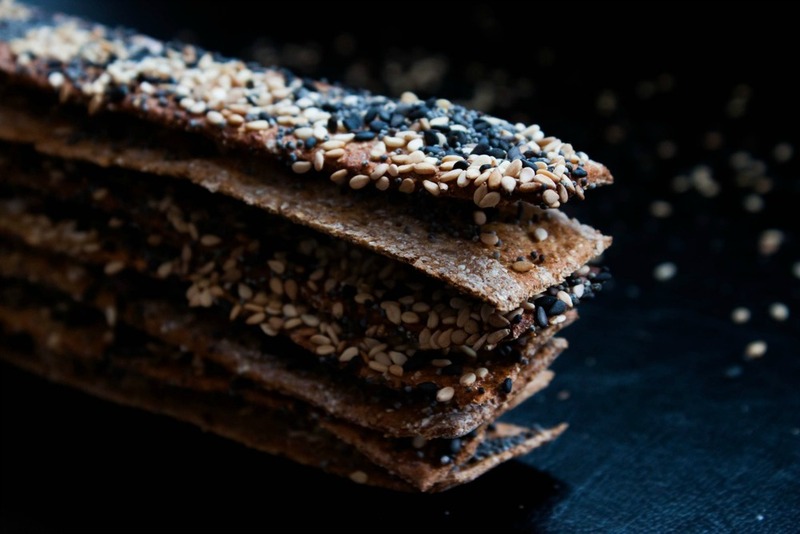 Crispbread, the Scandinavian take on crackers, has been baked for centuries and can therefore be considered as a staple of Nordic cuisine. The most traditional version is shaped into a large round with a hole in the middle – this way the bread could be stored on long sticks under the roof. To sleep in an old log house under a crispbread sky...I definitely like the idea. And maybe, just maybe, one crispbread would have been offered to the shy creatures of winter. You won't find many Scandinavian families who don't have a pack of crispbread at home at all times. It is one of the secrets of how we people of the North survive the long, dark winters. Forget its reputation as low-caloric diet food. It's so much more than that (and to be honest, I doubt any Scandinavian enjoys it because of it being "health food"). Crispbread is enjoyed as a midday snack simply buttered or with cheese and thin slices of cucumber. It's also great alongside a bowl of soup, like a hearty pea soup, or a green salad. Nowadays, few people make homemade crispbread anymore. Maybe it's because you can find a ton of different varieties at your local grocery store. However, homemade crispbread is not only tastier but also easy and relatively quick to make. So why not make your own crispbread at home? This slightly luxurious seed crispbread pairs especially well with cheese and a glass of full-bodied red wine...the kind of winter night I like the most. In a medium-sized bowl, combine the lukewarm milk and crumbled yeast. Stir with a spoon until the yeast is completely dissolved. [note: if you use instant active dry yeast, mix it with the dry ingredients and heat the milk to about 45°C / 115°F} Gradually add the dry ingredients until the dough comes together enough for you to start kneading it. Knead until it comes clean off the sides of the bowl. Add more all-purpose flour if it sticks to your hands. Shape into a ball and cover with a kitchen towel. Let the dough rise in a warm place for 30 minutes. Preheat the oven to 250°C (475°F). Line 2 baking sheets with parchment paper. Take about a third of the dough and roll it into a very thin rectangle. 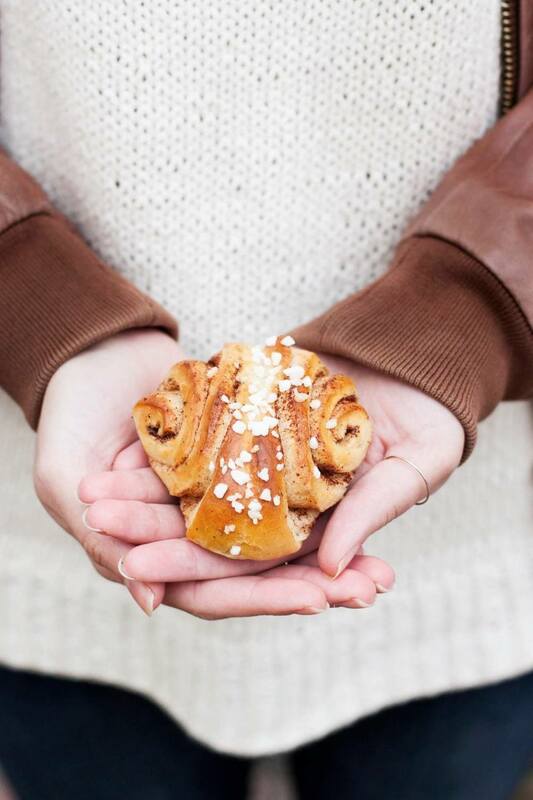 The thinner you roll it, the crispier it becomes. With a knife, cut the rolled out dough into about 21x2,5cm (8x1") strips. You can also cut it into different shapes, like triangles (mine were about 6,5 cm / 2.5") or rounds. Transfer to a baking sheet. Prick each piece all over with a fork. This will keep the crispbread from puffing up in the oven. In a glass, whisk together the egg white and water. 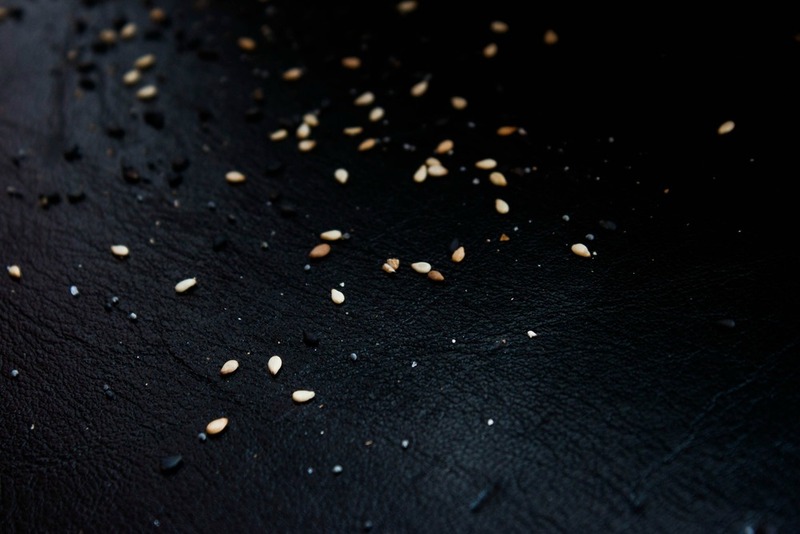 Brush each piece of crispbread with the mixture and sprinkle generously with the seeds. Bake for about 6 minutes. The crispbread will be crisp and start to brown at the edges. Let cool on a wire rack. Continue to prepare the rest of the dough but remember to keep an eye on those in the oven. Once cool, store in an airtight container. They will keep for a couple of weeks, even for several months. Hope you all have a great start to the first week of February which, by the way, is my favorite winter month!